Given the rarity and value of diamonds, it’s not surprising that some would seek ways to replicate their beauty. In recent years, laboratory-grown or synthetic diamonds have become more common, more advanced, and harder to detect. A synthetic diamond is the result of a technological process, as opposed to the geological process that creates natural diamonds. Synthetic diamonds have essentially the same chemical composition, crystal structure, optical, and physical properties of diamonds found in nature. Most synthetic diamonds are categorized as either high-pressure, high-temperature (HPHT) or chemical vapor deposition (CVD) diamonds, depending on the method of their production. 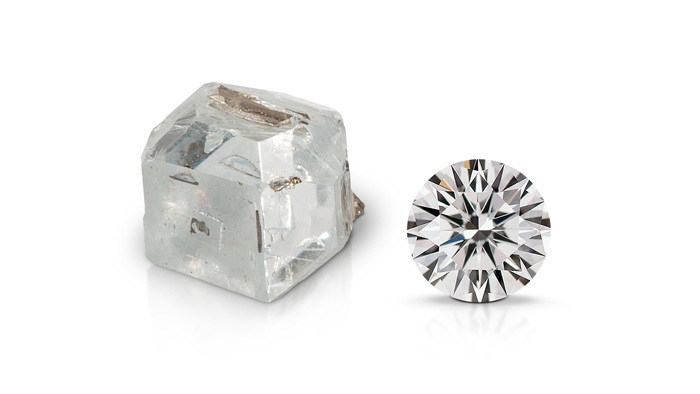 Since HPHT and CVD diamonds are virtually identical to natural diamonds, differences only become clear when they are analyzed in a gem laboratory. 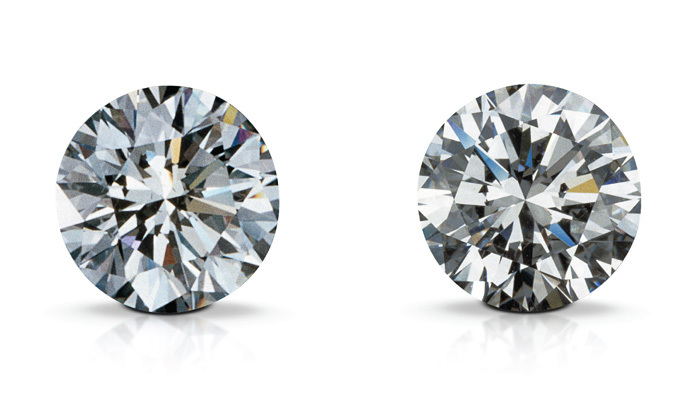 A synthetic diamond (left) and a natural diamond (right) can appear identical to the naked eye. While synthetic diamonds represent a small segment of the market, they are becoming more widespread and increasingly difficult to detect. GIA is at the forefront in meeting this challenge, offering a distinct report for synthetics so that there is no confusion in the marketplace. HOW DOES A GIA DIAMOND GRADING REPORT HELP YOU KNOW IF YOUR DIAMOND IS NATURAL OR SYNTHETIC? GIA tests every diamond to determine if it is natural. If a diamond is found to be laboratory-grown, GIA issues a Synthetic Diamond Grading Report, which looks distinctly different from the standard grading report. As an added precaution, GIA also laser-inscribes the diamond’s girdle with a report number and a statement that the diamond has been laboratory-grown. See what's new in our social medias!